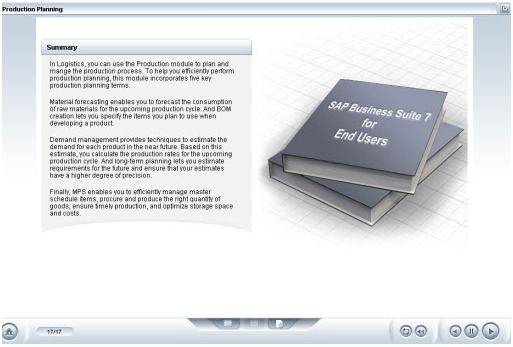 SAP Business Suite 7 can help you move toward strategic end-to end processes that can enable you create an effective strategy and action, and allow for a more flexible end-user environment. With increased flexibility you can act with speed by defining the most critical enterprise services, differentiating customer processes and providing a non-disruptive path to service oriented architecture (SOA). The improved efficiency allows you to focus on value with best practice processes, incremental adoption, and reduced cost of implementation and operation.